Top welterweight stars of the past, present and future have weighed in with their thoughts on the highly anticipated matchup that pits former welterweight champions Danny Garcia and Shawn Porter against each other for the vacant WBC Welterweight World Title Saturday, September 8 in the main event live on SHOWTIME from Barclays Center, the home of BROOKLYN BOXING™. The SHOWTIME CHAMPIONSHIP BOXING telecast begins at 9 p.m. ET/6 p.m. PT and features a welterweight title eliminator between Cuba’s Yordenis Ugas and Argentina’s Cesar Barrionuevo and heavyweight action that pits unbeaten Polish slugger Adam Kownacki against former heavyweight champion Charles Martin. Garcia will win if he uses his jab to keep Porter at bay and off balance, but Porter gains a victory if he connects and hurts Garcia early and makes him abandon his boxing ability and fight like a slugger — as I did with my first fight vs Roberto Duran. “I honestly love this fight, and I consider it a tremendous battle and one of the best matchups of the year. For me, having fought both of them, I do believe that each is capable of hurting the other and getting one another out of there. 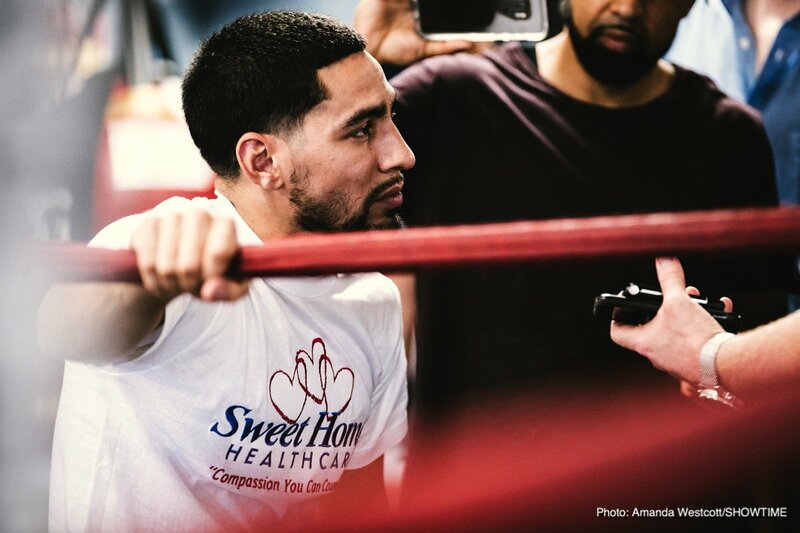 “I know most fans are going to lean toward Danny Garcia with his knockout power and the potential for that. Then there is Shawn, who’s got a decent punch, even though he focuses on his output more than his one-punch solid blow and has it in his arsenal to hurt Danny Garcia. “I think this is a very good matchup. Shawn Porter is the kind of athlete who is always bringing the fight to you with pressure and volume punching. They both come to fight and they can both take it and dish it out. “That’s a really tough fight to predict. If Danny can counter really well and keep Shawn Porter off of him while Porter’s coming in, then I see Danny stopping him. “It could come down to how well Shawn Porter can take Danny Garcia’s punches in a fight that’s really hard to predict, and how well Danny can move, given that he’s not known for having fast feet similar to a guy like Keith Thurman. But if Shawn can get close and smother Danny’s punches, he will make it a difficult fight. But Danny’s got really heavy hands and sits on his shots well, timing and counter-punching guys, so Porter could play into his hands. “I’m going with Shawn Porter. Not by stoppage, but Shawn creates too much pressure and Danny Garcia doesn’t throw enough punches and doesn’t deal with pressure. You saw that when he fought Guerrero, who wasn’t looking too bad in that fight.